All I've done since finishing work at 6pm on Friday is eat cake and drink rum punch. I feel sick and don't want to see another slice of cake for at least a month (unless you have Welsh cakes because I could eat one of those right now) I've been off work all weekend, not replied to any emails and barely been online, bliss! 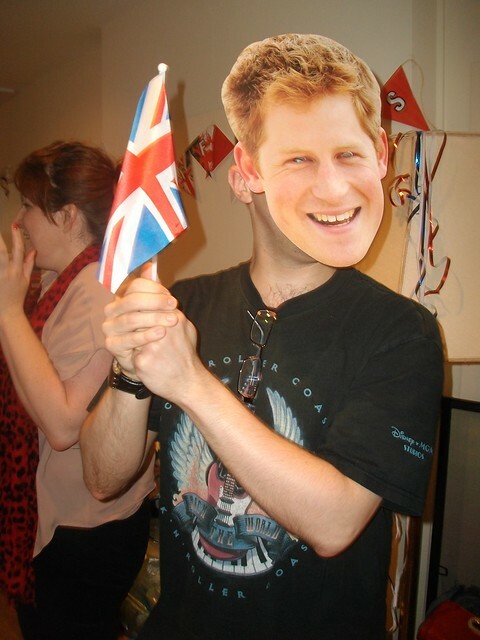 I went out out Friday night to celebrate the end of exams with friends. I've not had an exams since 2008, any excuse to party right? Me and my friends have been planning this bank holiday weekend for ages so I treated myself to a new outfit for Friday night in town. 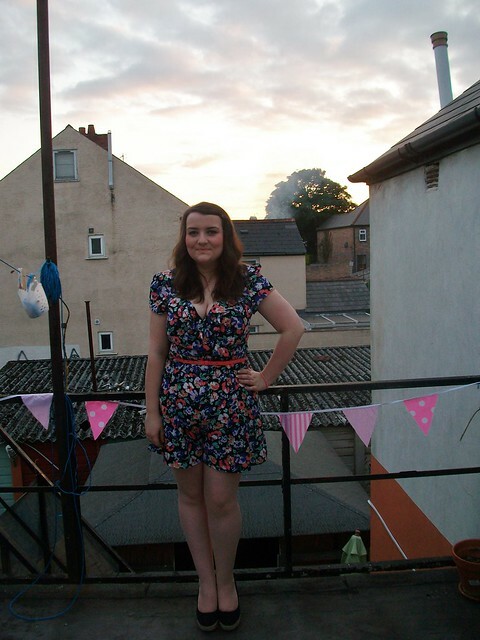 The playsuit is from the new Kelly Brook range at New Look and I love it! I had some money left on a gift card and used a mates student (ID very naughty or me) so I only payed about £20 for it. It came with a lovely belt but unfortunately the same size belt came with all the playsuits and was way too small for me. Don't you hate it when that happens? so I added a Primark belt which I got for £1. The shoes were super high wedges that I picked up for £16 in Primark and I manged to walk in them all night. Rum punch! polished off a lot of this myself. 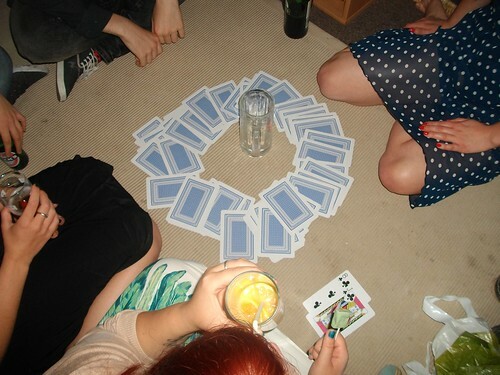 Drinking games are never a good idea. I spent Saturday shopping, going for lunch and watching loads of Arrested Development episodes. Sunday was the day of the Cardiff Blogs Jubilee Big Lunch, the weather was awful but luckily the lovely owner of Pettigrew Tea Rooms let us have a picnic/indoor party in the room above the tea rooms. There was so much food and all my favourite Cardiff bloggers in one place, I had a lovely time and went home with more food than I took with me. 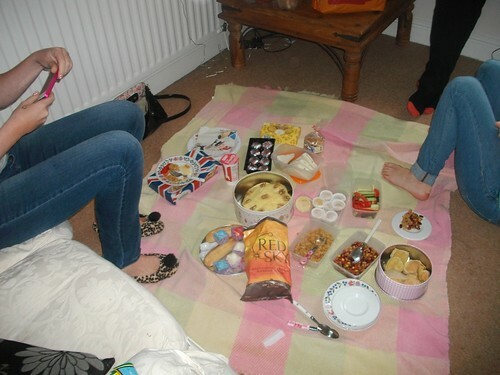 I took lots of left over food to a friends house and had another picnic, I didn't realise it was possible to eat that much food in one day. Hope you had a lovely weekend and aren't in a state of hangover/sugar comedown like me! You look gorgeous in that play suit girl! Very pretty! This playsuit is lovely on you! You look gorgeous in that playsuit. You're looking amazing Gem! The playsuit is lovely, very pin up style. I ate so much at an indoor picnic earlier I can't eat my tea! You look amazing in that playsuit. I don't want to be crude but you're filling it out very nicely, I'm jealous! That playsuit looks gorgeous on you, it's lovely! 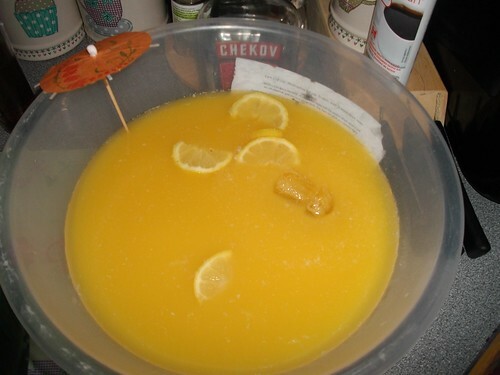 Homemade punch has been the cause of many of my hangovers over the years haha! It always seems like such a good idea at the time, but results in a very sore head the next day! Looks like you've had a fab weekend. You look amazing in that playsuit ! Love the playsuit! You look so tiny slim! Whit woo! You look stunning in that playsuit! The rum punch looks so good. You look AMAZING, so jealous of your gorgeous figure right now! You look stunning in your playsuit!! thanks! was a bit worried about getting my legs out but it's summer!